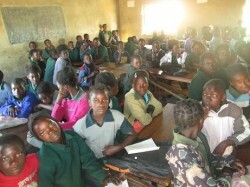 Academic Work of Sweden, this year, will support 13 Schools with building materials for construction of classroom blocks and staff houses in Southern Zambia particularly Kalomo and Kazungula districts. Most of these building materials will be donated to community schools that started on Self Help basis following sensitization workshops by Response Network, a right based approach not for profit organization. In order to enhance the quality of structures built in the community schools on self help basis, Response Network held a workshop for all recipient community schools. The participants were chairpersons and builders for each recipient school. All together the workshop was attended by 32 participants. The ultimate objective of the workshop was to enhance the quality of workmanship and creation of uniformity in the structures in community schools to adhere to Government standards. The key resource persons were an officer from the education board’s office and the buildings officer from Response Network. The topics covered included making of an activity plan, community participation and interpretation of blue prints. The first school to receive building materials this year was Airport Community school. Its name airport because its just at the edge of an old airstrip in Choma, a town located 200 Km away from Livingstone. 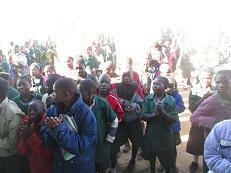 The school has 700 children with only four classrooms and the standard number of children per class is 35. The donation from Academic Work will therefore be a great boost to the school’s infrastructure.